Youth futsal international Raphael Le'ai is making the switch to the 11-a-side code for Solomon Islands. 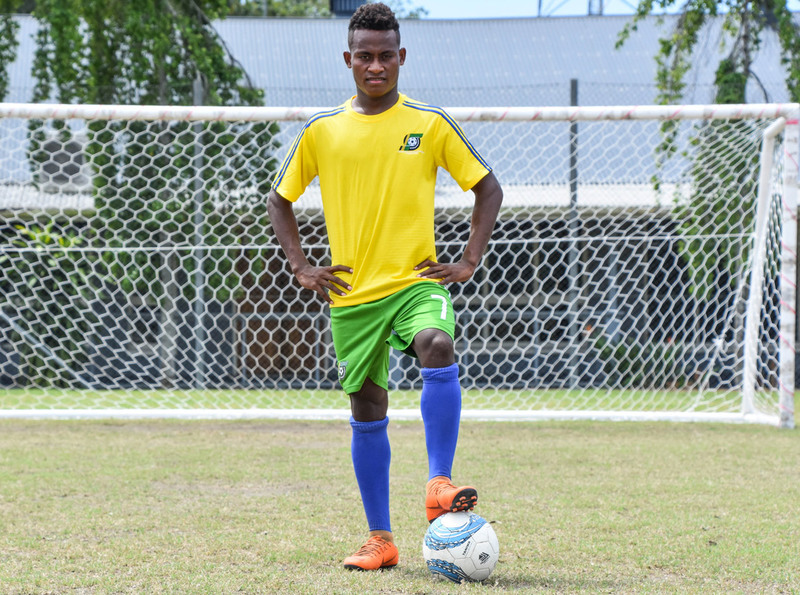 Solomon Islands wonder kid Raphael Le’ai is determined to make his mark on home soil at the OFC U-16 Championship in Honiara. The young lad will be making his debut international football appearance after his impressive performances at the OFC Youth Futsal Tournament last year in New Zealand. Blessed with a natural left foot and an eye for goal, Solomon Islands Football Federation technical department called on the rising futsal star to switch codes and try to add some of his flair to the U-16 campaign at home. “I am very happy to join the national U-16 football team even though it’s a new experience for me,” Le’ai said. “It has been great since teaming up with the squad just a few months ago. Le’ai snatched the golden boot award in the abbreviated code with a staggering 35 goals during the competition in Auckland, New Zealand as he helped Solomon Islands qualify for the Youth Olympic Games in Buenos Aires, Argentina. With an impressive record to uphold, the 16-year-old is confident he can continue his fine form in front of goal for the Solomons. The young striker managed to break into Marist FC S-League first team this season making three appearances and scoring two goals in the process. However he has had to sacrifice some of his futsal training sessions to blend in well with the rest of the team. “We have been working hard together in preparation for this competition but it will be tough because other teams are also here to compete. “My combination with our forwards will be vital if we are to do well in the competition,” he said. Solomon Islands coach Stanley Waita said Lea’ai’s inclusion in the team is a bonus thanks to both his skills and his experience. “It’s a really big boost for the under-16 team, Rafa is a big name for us now,” Waita said. “He is a futsal player so we have been working really hard with him due to the change of code.